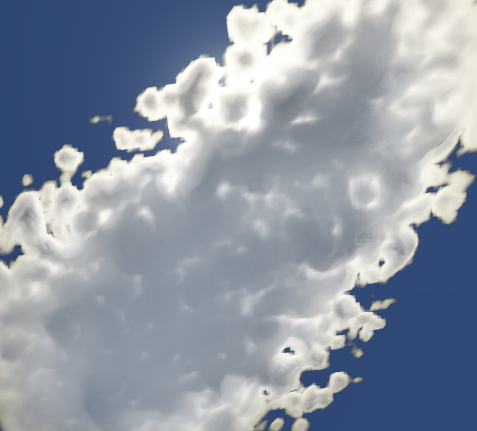 We propose an algorithm for the real time realistic simulation of multiple anisotropic scattering of light in a volume. 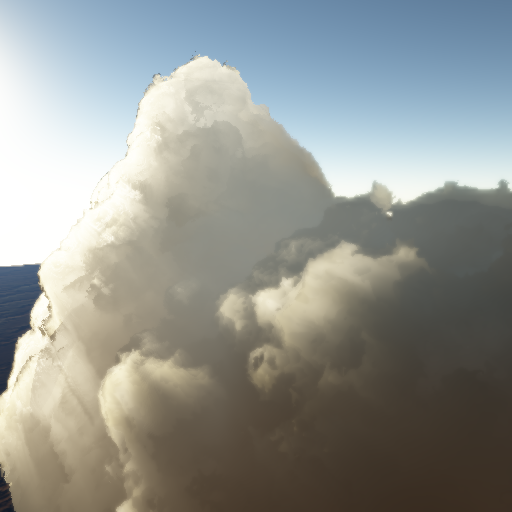 Contrary to previous real-time methods we account for all kinds of light paths through the medium and preserve their anisotropic behavior. 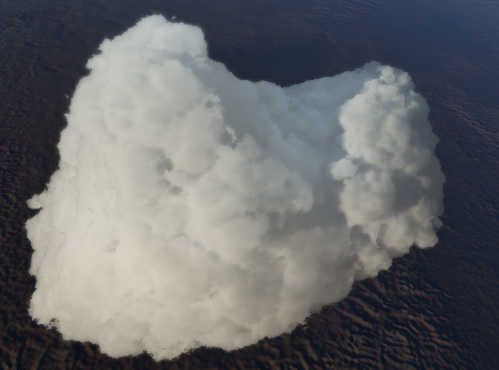 Our approach consists of estimating the energy transport from the illuminated cloud surface to the rendered cloud pixel for each separate order of multiple scattering. 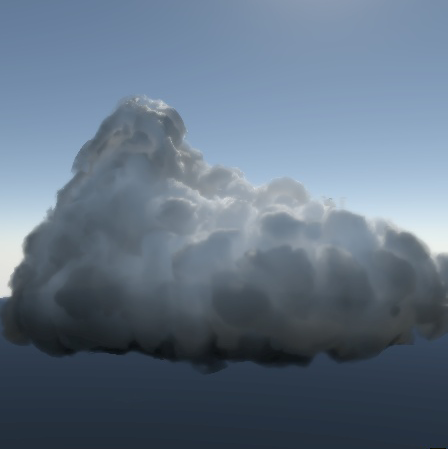 We represent the distribution of light paths reaching a given viewed cloud pixel with the mean and standard deviation of their entry points on the lit surface, which we call the collector area. 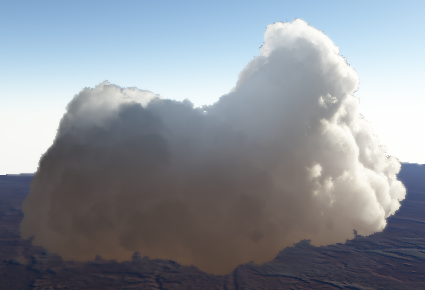 At rendering time for each pixel we determine the collector area on the lit cloud surface for different sets of scattering orders, then we infer the associated light transport. 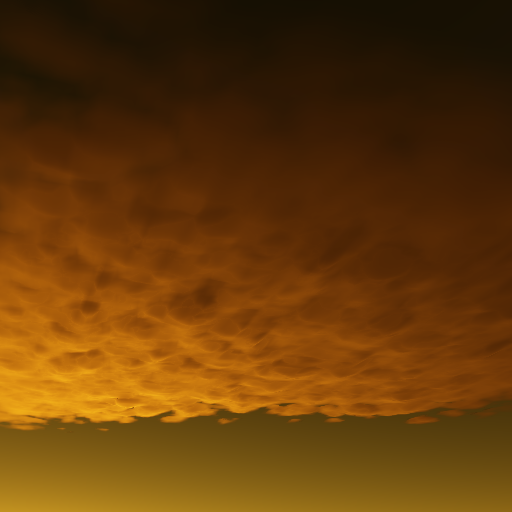 The fast computation of the collector area and light transport is possible thanks to a preliminary analysis of multiple scattering in planeparallel slabs and does not require slicing or marching through the volume. 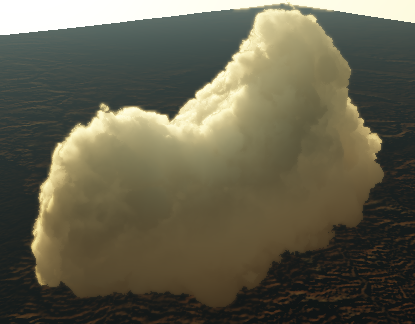 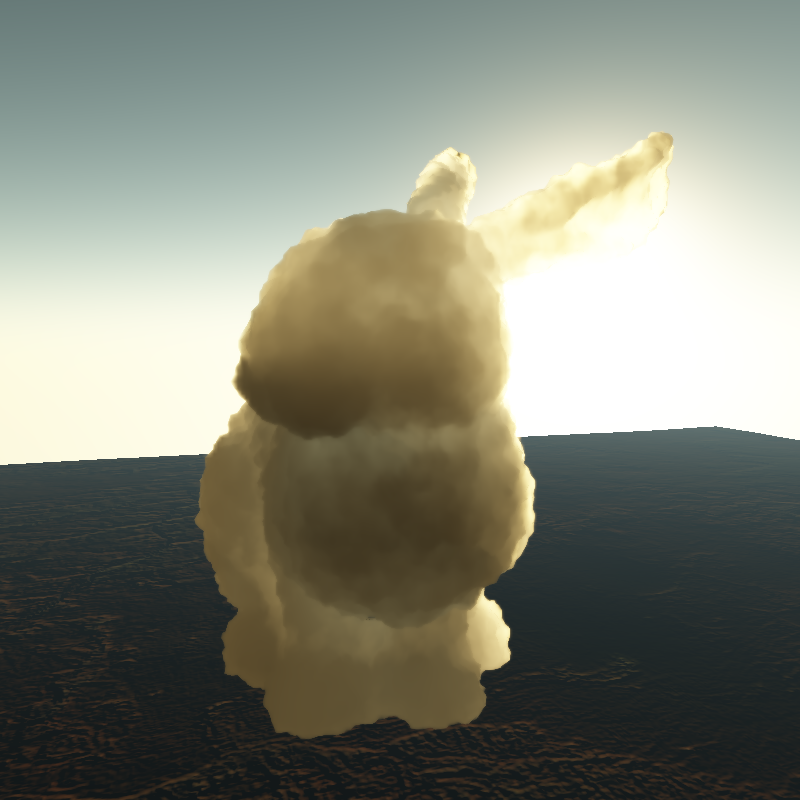 Rendering is done efficiently in a shader on the GPU, relying on a cloud surface mesh augmented with a Hypertexture to enrich the shape and silhouette. 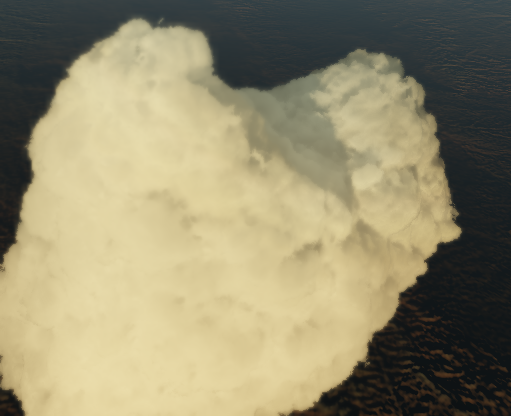 We demonstrate our model with the interactive rendering of detailed animated cumulus and cloudy sky at 2-10 frames per second.